Millions of years ago, unlucky animals settled in the sticky resin of trees, only to be trapped and preserved until we humans found them. Fossils of the distant future, however, will probably be a whole lot weirder than bugs in tree sap. 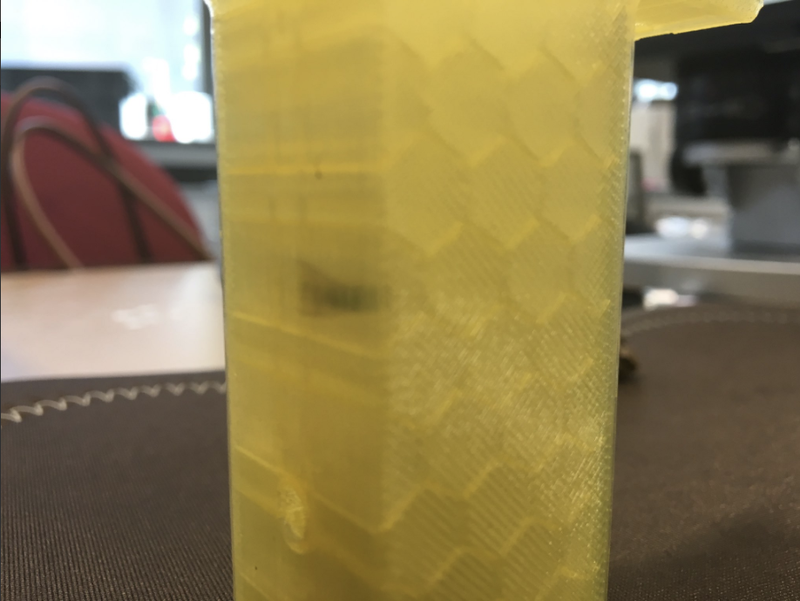 An engineer 3D-printing this honeycomb structure was surprised to find a bug had trapped itself in the print, like an insect in amber. Forget Jurassic Park—one day, this new fossil could be the start of some sort of Quaternary Park. Of course, we’ll never know if the researchers did anything to bait the flies, but that won’t matter in the future. Polymers and resins are mostly non-biodegradable, so if this hunk of 3D-printed stuff ends up in a landfill, someone in the future really might just put it in some sort of post-singularity museum. People have already started calling the modern era the “Anthropocene,” the time in which humans have started acting as a geological force of nature. As we’ve written in the past, people have impacted the Earth by introducing invasive species and changing the climate. Pieces of plastic like this really could end up as yet more fossils of our strange new era. The agency is now calling for the quick development of drugs to treat the sexually transmitted disease. It doesn’t have quite the same impact that the Higgs Boson did five years ago. But it does have people talking. Why Did Montana Experience a Powerful Earthquake Last Night? The earth quakes. It quakes a lot.